The internet has given rise to many forms of protests over the years. From petitions and calls to boycott shared through social media to weaponized hashtags, a phrase beautifully coined by The Wall Street Journal’s Jeff Yang when reporting on the so-called #CancelColbert controversy, the interwebs seem to have been made for shared outrage. But, today, I came across a form of protest that was new to me in that one company was encouraging its customers to protest another company. 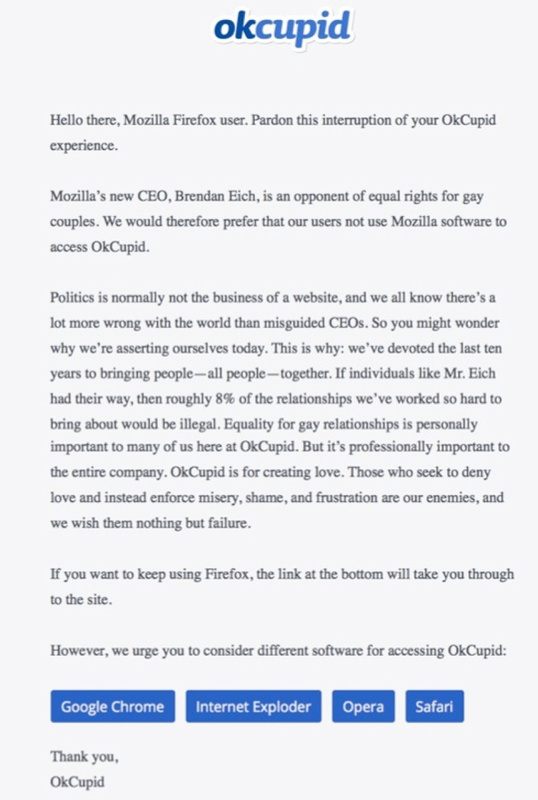 When accessing the dating site OKCupid through Firefox, customers are now greeted with with a message calling out Mozilla (Firefox) CEO Brendan Eich for his support of California’s Proposition 8, highlighted by a $1000 donation made in 2008. 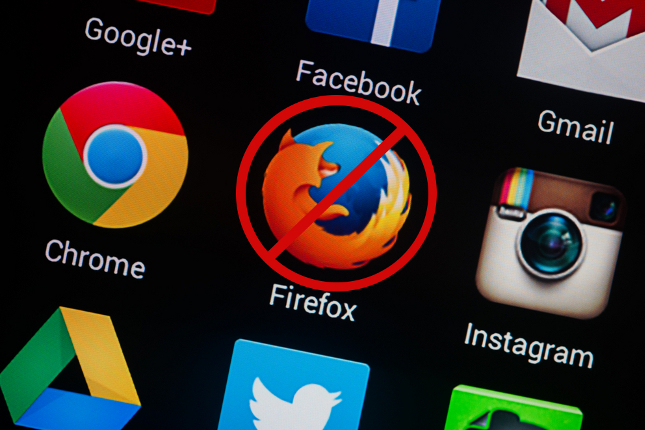 Still, this is the strongest outcry that has come from another site, using the browser ID tags to effectively boycott the Firefox browser. As politics and social issues continue to impact consumer behaviors, this appears to be the next big step in the captialism-meets-policy trend.